Red scarf with the single word ‘Cardiff,’ backed by a stray Powerpoint motivational ‘Fire & Passion’ statement and a Red Dragon club emblem = wrong. 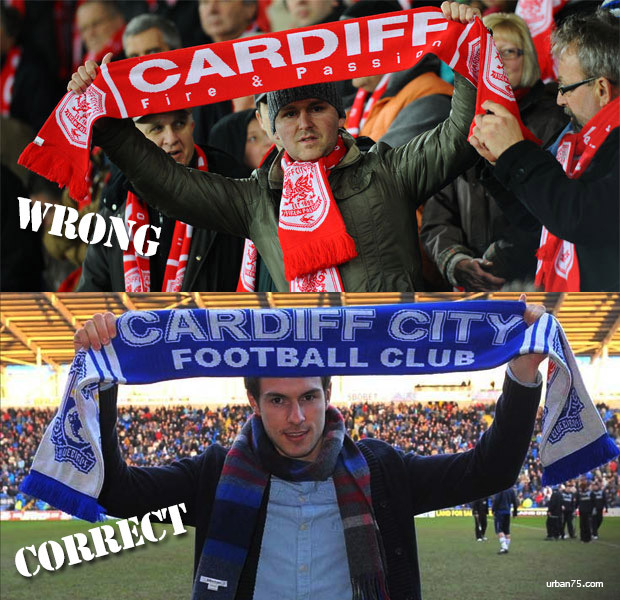 Blue scarf with the words, “Cardiff City Football Club,” plus the Bluebird logo and the word “Bluebirds” = correct. 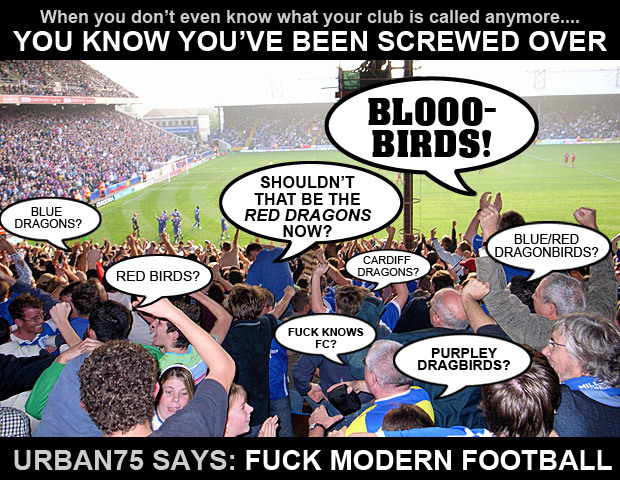 Join in with the debate and arguments about the depressing rebranding exercise going on at Cardiff City, The Bluebirds, Vincent Tan’s Cardiff Red Dragons here. This, to me, says it all about club football. What are you really supporting? The players don’t come from Cardiff. The manager doesn’t come from Cardiff. Over the years, the owners, staff and even the ground changes. If the only consistency is a scarf colour and a nickname, then what are you really supporting? It’s about tradition, continuity, history and a sense of belonging, not whimsical rebrandings. If you’re not a football fan, I don’t expect you to understand, but the nearest analogy would be a die-hard Rolling Stones fan turning up for a concert to find that they’ve turned into a One Direction tribute act. Nice analogy, which *almost* explains it. I suppose my counter would be that the Rolling Stones have a fairly settled line up over the years, with several original members still playing. I presume that when Mick Jagger retires or dies, the Rolling Stones will simply cease to exist. 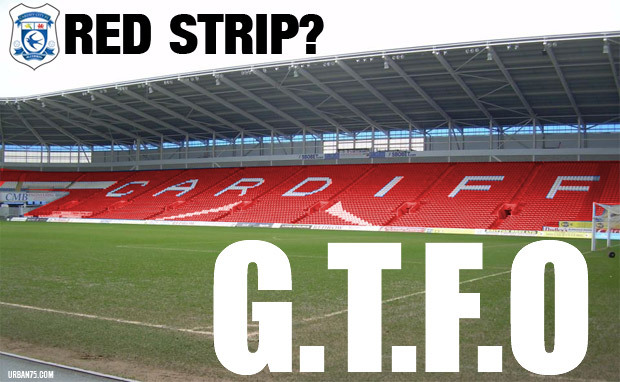 But that analogy does at least help me understand how Cardiff fans might be feeling.